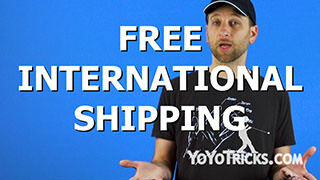 Stay up to date with results from Mideast Regional Yoyo Contest, product updates, and next week’s Instagram contest. 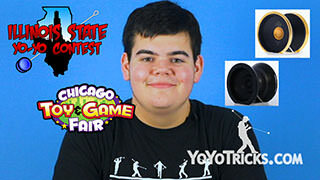 Monday Morning Update (In the Evening) – Yoyo News 7-10-17 Yoyo TrickWelcome back to Monday Morning Update, and we are bringing you live footage here from Popcon that had been pre-recorded because just moments ago, yesterday, on Saturday, the Mid East Regional yoyo contest was held, right here. We have got a lot of big news. The first story is that Chandler Steele picked up his second win of the year. 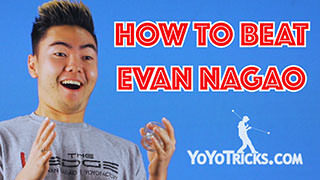 He came off a high winning on the Ohio State Yoyo Contest and he came back to win again at the Mid East Regional Yoyo Contest, using the Edge Yoyo. Now the big news of course is in the 2A Division, where long time rivals Adam Bottiglia, well known Monday Morning Update News Anchor, paired off against what some would call his nemesis, Dennis Shatter. 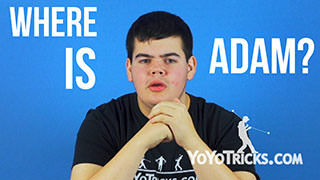 Now last year Dennis Shatter crushed him in the 2A division, so Adam was hoping to come back with the win, but Dennis decided to switch up his game, he switched over to Oracle yoyos, and just eeked out a win over Adam Bottiglia. He will have to come back and try to get him next year. Now in the 3A division, we were happy to welcome back Colin Beckford. 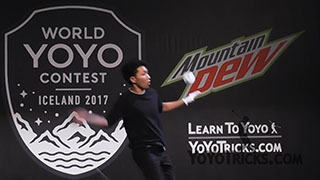 He has been out of the 3A game for a couple of years, but he came back with style, picked up a win, we are looking forward to seeing him at the National Yoyo Contest. In the 4A division, we were happy to welcome Philip White, who is the current national champion. 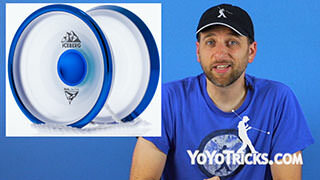 He threw down another graceful performance, as always, using the Jetset EG, which is available in the YoYoTricks.com store. Now rounding out the divisions, we had Jared Marcus, who threw down an excellent 5A routine. 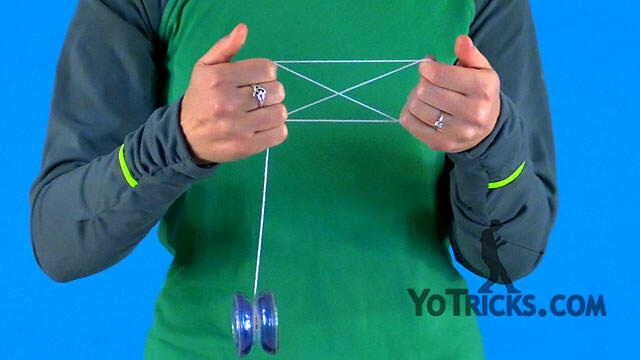 You are definitely going to want to check that routine out, as well as all the routines. 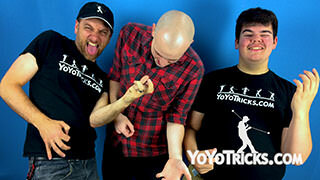 You can see all the footage on the Yoyo Contest Central Youtube Channel. So now we are going to turn to Jake Elliott, who has been managing our store this whole weekend at Popcon. 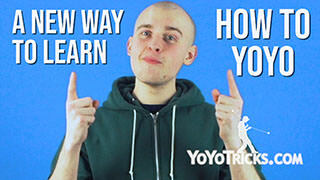 He is going to tell you about some new products that we have got coming to the store. He guys, we are the Indianapolis Popcon and we have got a couple of new releases for you. 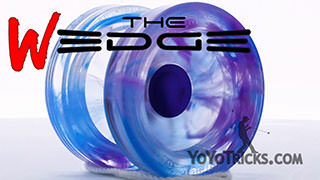 The first is two new Edge colorways. So we have got the green silver fade with the onyx rims. Looks really classy. 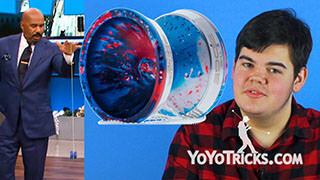 We also have the hot pink with the tempered steel rims. Looks like a rainbow, so we can look for those in the forecast. 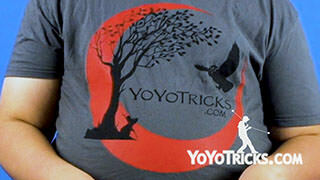 Other than that, we have the new YoYoTricks.com Tree Shirt, haha. 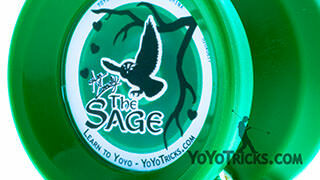 As you can see this has the Sage and the Oracle on it, as well as the moon from the Oracle. Looks real cool, it has been a big hit here at Popcon. 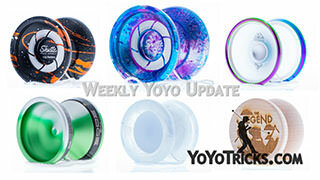 Those are the only new releases that we have this week on YoYoTricks.com, they will be going up as soon as I get home, get some sleep, and are actually able to put them on the website. So, that is all for this week. Catch you guys around next time. Thanks Jake. Wish I could still be at Indy Popcon with you guys, but obviously I can not be in two places at once. 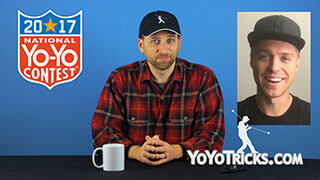 Now, this is normally the part where we would answer your questions, but we are going to push that off to next week since Jake and Adam are still at Popcon. So, keep commenting. We have another instagram contest for you guys this week. 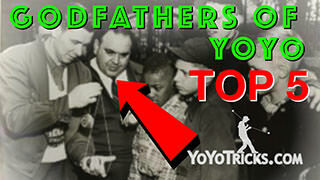 But first, we want to congratulate Yoyo_Kid_69 for winning last week’s contest, which had the theme of Rock the Baby. Check your instagram DMs to claim your prize. 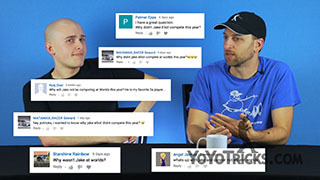 While the winner of each week’s contest is chosen at random, at the end of this broadcast we will be sharing some of our favorite entries from last week. The theme for this week’s contest is, Jamaican Flag. To be entered, you must upload a video to Instagram of yourself doing the trick Jamaican Flag, using the hashtag, #YoTricksContestJMF. 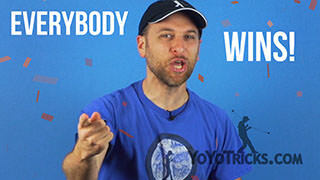 Your account must be set to public in order to win. 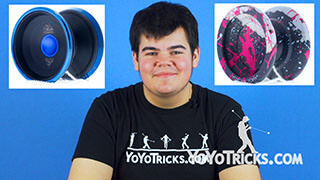 Just like last week, this week’s winner will receive a $10 gift card to YoYoTricks.com. 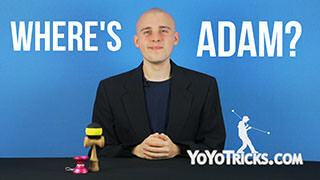 We will announce the winner in next week’s Monday Morning Update, in the Afternoon, where your video has a chance to be featured, so keep it interesting, and good luck. 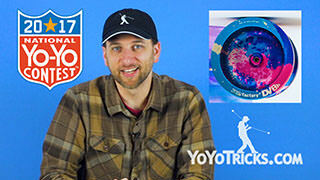 This is Christopher Chunn with the Monday Morning Update, in the afternoon, reminding you to always Throw, Love, Laugh. We will see you next time.